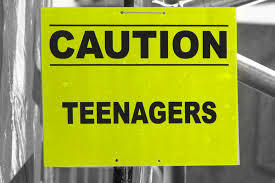 Writing About Teenagers – Can You Keep Up? Last year, I finished a book about teenagers – specifically a teenager with mental health issues. I enjoyed writing the story and I felt reasonably proud of it once I had finished, but I knew work needed to be done on it. It needed re-writing in places and it needed some re-ordering of the plot half-way through. I started the re-writing and then ground to a halt, beginning another novel instead and letting that take up my time. One of my issues with the book about teenagers is my feeling that I can’t possibly keep up. When I started book number two, I felt reasonably confident that I knew how teenagers lived and existed day-to-day, but as time went on I lost that confidence. How do teenagers live these days? Do they talk to each other at all? Or are they too busy, heads bent, hands curled round a mobile phone awaiting updates on whatever social media platforms they belong to? And what social media platforms are they on? Is Twitter now passe? Have young people grown bored of Instagram yet? Have they moved onto Periscope? And how exactly does Snapchat work? Modernity feels as if it’s difficult to accurately reflect these days because it moves so very, very quickly. I’m sure anyone writing about children and teenagers 40 or 50 years ago could confidently feel that their book would be as relevant at the end of a decade as it had been at the beginning of one, but I don’t feel that way about teenagers living in 2010, compared to teenagers living in 2016. The answer to this dilemma? Who knows… Writing about teenage vampires or teenagers living in a futuristic world where they need to take part in games to stay alive? Maybe that’s the answer. Oh. That’s been done already. Oh well. I really enjoyed this blog: how does anyone stay relevant to teenagers? Good luck, and I’ve every faith you can do it! Emma, I feel your pain. Of course, I used to be a teacher and towards the end of my career kids were starting to text each other in class rather than just gossip which might have made for a quieter classroom but seemed a bit sinister. You could always tell when they were doing it – both hands below the desk, and either looking down or smiling innocently at the teacher, rather than looking bored out of the window the way we did in my day. Thank you for your kind comments – inventing social media is a genius idea (dammit, wish I’d thought of that). And of course, you can get the made-up social media to do exactly what you want as well. Re kids looking out of windows – ha, and also pass written notes to each other under the desk? That used to feel like a very, very naughty thing to do. Texting is equally naughty, no more – it’s simply that the modern child passes notes under the desk electronically.